Adirondack Salt Cave is a family-owned business located in downtown Glens Falls, New York, at the foothills of the Adirondacks. 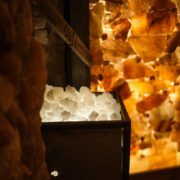 Our man-made Himalayan Salt Environment is intended to reproduce the unique microclimate and the healing properties of the deep salt caves within the Himalayan Mountains that have been used for centuries for their incredible effects. 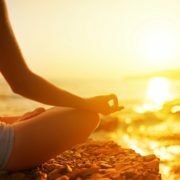 Our holistic healing arts center offers Halotherapy, Swedish Massage, Shiatsu, Reiki, Esthetician Services, Therapeutic Reflexology, other Massage Therapy Services and more, with our team of professional, qualified practitioners. Choose from Swedish Massage, Shiatsu Massage, Sports Massage, Pregnancy Massage, and Oncology Massage, along with our other wellness and healing arts offerings. Enjoy Halotherapy in our Himalayan salt cave with natural healing properties. Spending 45 minutes in the salt cave is the equivalent of approximately one full week at the ocean! We are hosting yoga classes, story times, and more in our Salt Cave. Check our calendar to see what’s coming up and add some relaxation to your busy schedule.